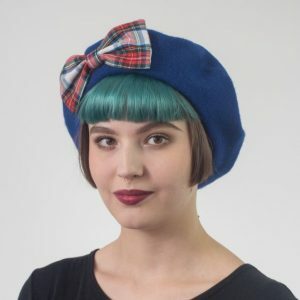 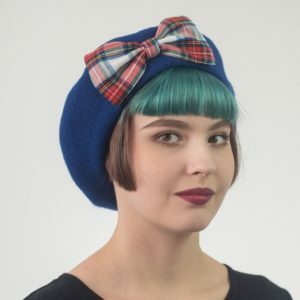 A machine made royal blue wool beret hat customised with a large handmade royal blue velvet bow. 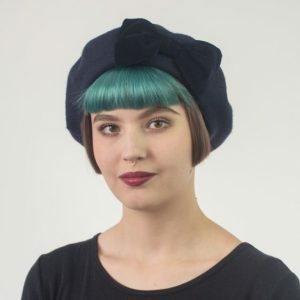 These berets are the perfect timeless winter accessory. 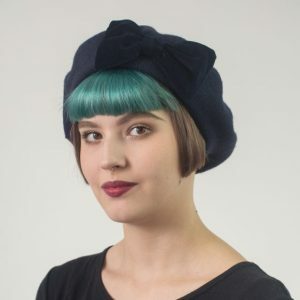 Sumptuous velvet in easy to wear colours to brighten up a dull day.